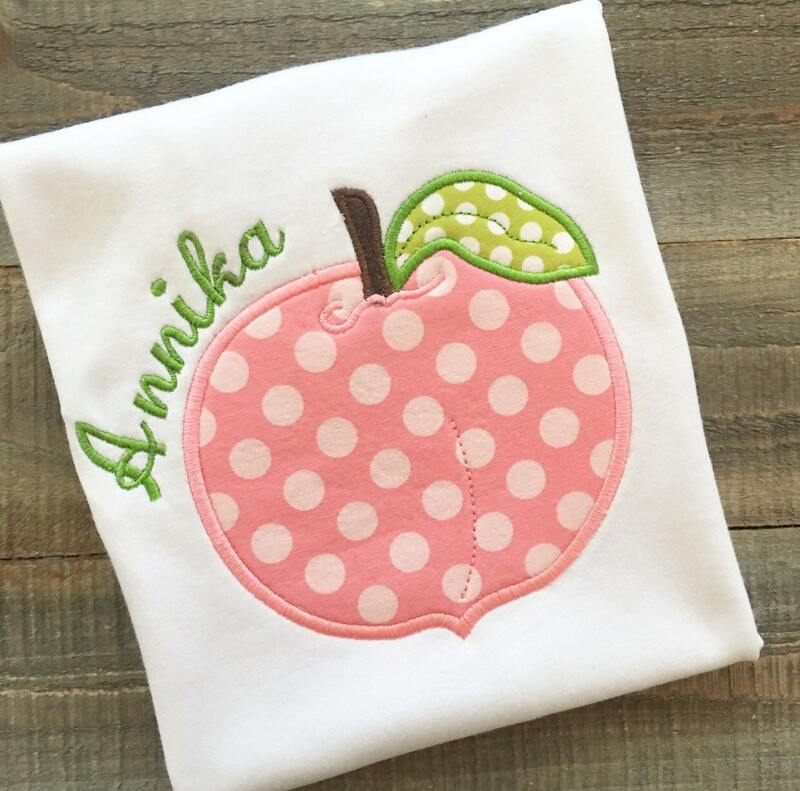 An adorable peach shirt personalized with the name Georgia! This can be done with another name as well, please specify your name in Notes to Seller at checkout. If a different name is not specified you will receive the peach with Georgia. Please specify your sizing choice and name in Notes to Seller. Thanks for taking a peek into Gentry California! Beautiful quality very happy with purchase! Chevron Easter Egg Appliqued Shirt or Bodysuit. Personalized with a monogram. Big initial. Cute Easter outfit.